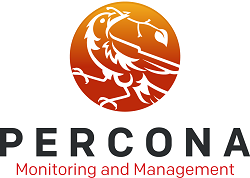 Percona announces the release of Percona Monitoring and Management 1.1.2 on April 3, 2017. This release includes several new dashboards in Metrics Monitor, updated versions of software components used in PMM Server, and a number of small bug fixes. The InnoDB Defragmentation graph shows how OPTIMIZE TABLE impacts defragmentation on tables when running MariaDB with innodb_file_per_table=1 and innodb_defragment=1. The InnoDB Online DDL graph includes metrics related to online DDL operations when using ALTER TABLE ... ALGORITHM=INPLACE in MariaDB. The InnoDB Deadlocks Detected graph currently works only with MariaDB 10.1. We are planning to add support for MariaDB 10.2, Percona Server, and MySQL in the next PMM release. The Index Condition Pushdown graph shows how InnoDB leverages the Index Condition Pushdown (ICP) routines. Currently this graph works only with MariaDB, but we are planning to add support for Percona Server and MySQL in the next PMM release. Migrated the PMM Server docker container to use CentOS 7 as the base operating system. Changed the entry point so that supervisor is PID 1. 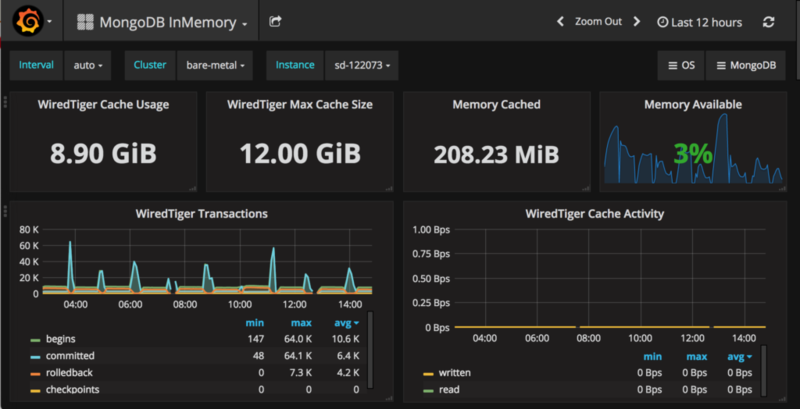 PMM-676: Added descriptions for graphs in Disk Performance and Galera dashboards. Fixed pmm-admin remove --all to clear all saved credentials. Several fixes to mongodb_exporter including PMM-629 and PMM-642. WARNING: Some Metrics Monitor data may be lost when renaming a running client. 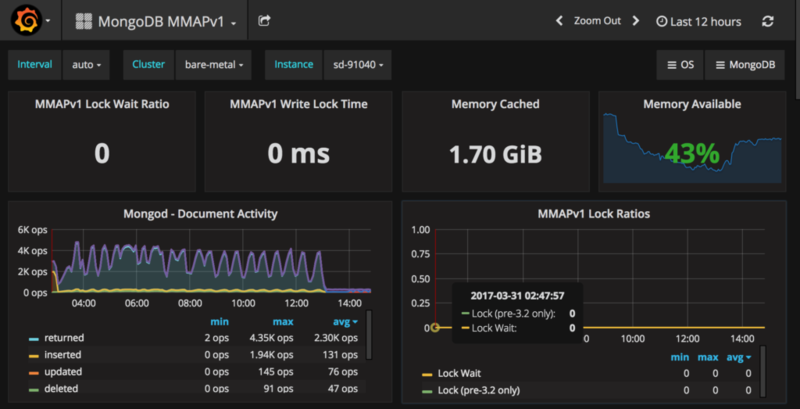 Percona Monitoring and Management is an open-source platform for managing and monitoring MySQL and MongoDB performance. Percona developed it in collaboration with experts in the field of managed database services, support and consulting. PMM is a free and open-source solution that you can run in your own environment for maximum security and reliability. It provides thorough time-based analysis for MySQL and MongoDB servers to ensure that your data works as efficiently as possible. A live demo of PMM is available at pmmdemo.percona.com. Please provide your feedback and questions on the PMM forum. If you would like to report a bug or submit a feature request, use the PMM project in JIRA. Alexey works for Percona as a Technical Writer responsible for open source software documentation. He joined the company in March 2015 with almost 8 years of prior experience in writing and managing technical documentation. Before joining Percona, Alexey worked for Oracle on Java SE and Java ME documentation. And before that his writing experience revolved around virtualization and information security software. Alexey has a degree in Electrical Engineering and a supplementary qualification in translation theory (Russian-English). He lives in Saint Petersburg, Russia with his wife and son. He spends his free time practicing and playing ultimate frisbee in a local team.